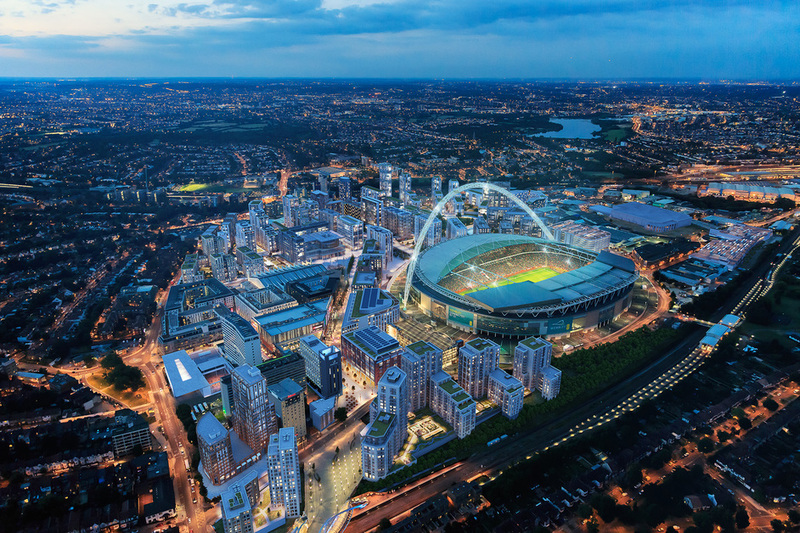 A vast 85-acre site in West London, Wembley Park is home to the SSE Arena, Wembley, London Designer Outlet and Wembley Stadium is a close neighbour. Over £1 billion has been invested in the area since 2002 with a further £1.8 billion being spent between 2018 and 2020. That money enables around 1 million square feet of office and workspace and a further 6,000 homes to be built, adding to the existing attractions: a nine -screen Cineworld cinema; a 361 room 4 star Hilton Hotel and 1,420 homes. Wembley Park already benefits from wide boulevards and attractive public spaces - new parks and public realm bring the total area of open spaces to around 42 acres. What are the best dining options near Wembley Park London? Wembley Park gyms, sporting activities, health & beauty and fitness. The best pubs near London Wembley Park. Wembley Park clubs, bars, cabaret nights, casinos and interesting nightlife. Where to have your meeting, conference, exhibition, private dining or training course near Wembley Park. From cheap budget places to stay to luxury 5 star suites see our special offers for Wembley Park hotels, including Holiday Inn London-Wembley from 90% off.